A perfect venue for this opera based on Hogarth’s famed series of paintings. 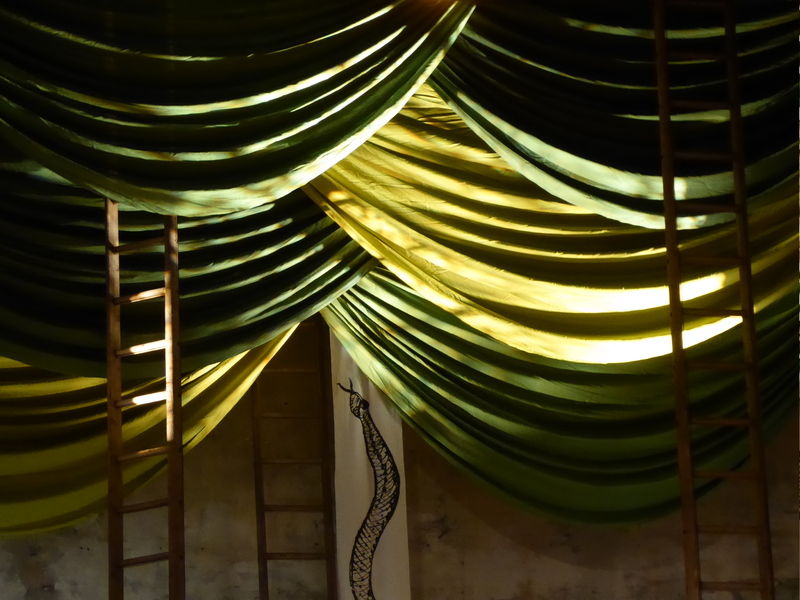 I am collaborating again with Selina Cadell and the team behind Love for Love at the RSC so just working on the stage design with costumes by Rosalind Ebbutt. This is the first of two shows I am doing back to back at Wilton’s Music Hall (the next is Box of Delights) so have tried to be clever and economic by creating some base elements that can function for both shows. The space itself is so atmospherically beautiful that the main job of the designer is not to mess it up ! Less definitely is more and the building should be allowed to express its full personality. 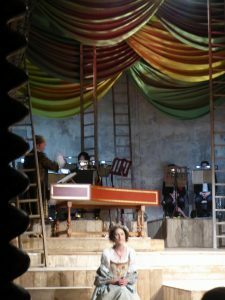 Selina’s style is to create a very direct relationship between performer and the audience and so use the auditorium as well as the stage space for the singers, we also had the minor challenge of fitting in an 18 piece orchestra complete with harpsichord . The empty theatre is divided between an upper and lower stage with a nearly metre drop between them which seems to break the space up rather strangely, so my solution has been to create a tumbling series of platforms that blur the distinction between the two spaces , while giving the orchestra distinct blocks to play on. 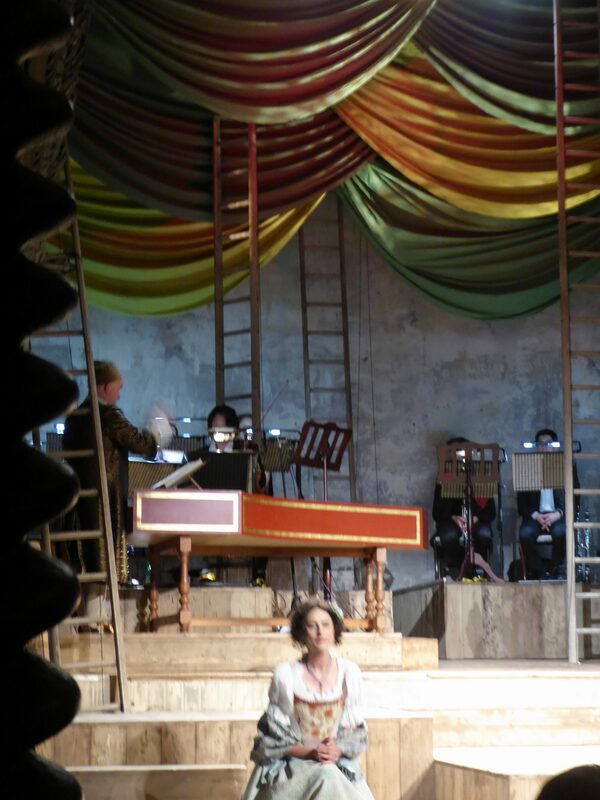 The singers can walk through the orchestra and respond to their presence. I have used rough wooden ladders as abstract trees, draped curtains as their leaves which then transform to be the red velour of the brothel. The rest of the locations are suggested by simple gestures and quotes from games of chance, a banner that twists to reveal a snake and all the objects Tom buys by giant playing cards.